RESERVATIONS & CANCELLATION POLICY: A deposit equal to the first nights stay (plus 13%) is required at the time of booking. Deposits are refundable in full if cancellations are made 10 days prior to arrival. The balance of the amount due will be charged at time of check-in. CHECK-IN AND CHECK-OUT: Check-in time is 3pm. Check-out time is 11am. We will do our absolute best to accommodate early check-in as well as late check-out. Confirmed reservations may text me at 949-233-7608 with your arrival time estimate. CHILDREN: We love kids! Please contact the hotel direct so we may insure your stay is as comfortable as possible. EXTRA PERSONS: All rooms are based on double occupancy. There is an extra charge of $25.00 per person. ACCESSIBILITY / SPECIAL NEEDS: We have one room which will accommodate those with limited mobility. Please contact us direct to book this room. PARKING: There are several parking spaces available on the property. We cannot accommodate RV's. USE OF PERSONAL INFORMATION: When you make a reservation with The Bond 1835, you are automatically placed on our email list. Please choose to unsubscribe at any time - we definitely don't want to annoy you! All of your personal information is kept in strict confidence and kept with the utmost security. 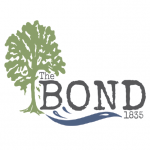 SMOKING: The Bond 1835 is a completely no smoking property. We apologize for any inconvenience. PETS: We adore your furry friends. Please contact the hotel direct to book a room with your barking buddy. A Superior Place to Stay! The Bond 1835 is located across from the beautiful Skaneateles Lake approximately four miles (about six minutes) from downtown. Our setting is serene with beautiful woods surrounding the property on three side and gorgeous views of the lake. The Bond 1835 has undergone an extensive renovation which was just completed in July 2018. Like any facelift, this didn't change the age of this 1835 farmhouse. Therefore we have a few slants and some fairly steep stairs. The Bond Suite and both queen bed rooms are located on the second floor. The deluxe king rooms are located on the ground floor; we recommend these rooms for anyone with some mobility issues. As owners of The Bond 1835 we love what we do and nothing makes us happier than a happy guest! ^^^ Please note, there will be no breakfast service from February 27, 2019 through March 7, 2019. The room rates have been reduced for those dates. Sorry for any inconvenience.